CData ODBC Drivers enable access to a wide variety of important data sources that cannot be accessed using conventional tools. In this article we will show how you can easily analyze data in the Microsoft Dynamics CRM system using the MicroStrategy BI platform. Similar techniques can be used to analyze data from Salesforce, SharePoint, Sage, QuickBooks, etc. in systems such as Tableau, MicroStrategy, Qlik, Pentaho, and many others. Install and configure the connection to your Microsoft Dynamics CRM system. The CData ODBC Driver for Dynamics CRM supports various connection options that allow you to connect to On Premise, Cloud, and IFD systems. Please refer to the documentation included with the product to configure and verify connectivity to your CRM system. Start with a new dashboard and click File -> Add Data -> Connect Live -> Database. In the Data Sources section of the resulting dialog, click Add. 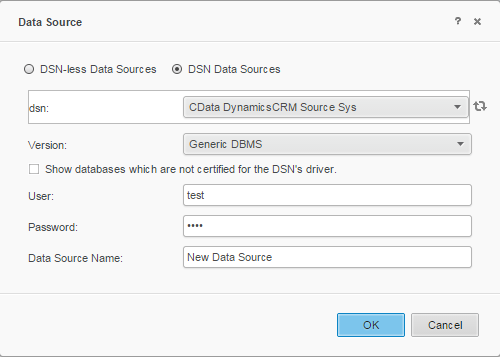 In the resulting dialog, select the DSN Data Sources option and select the DSN in the menu. In the Version menu, select Generic DBMS. 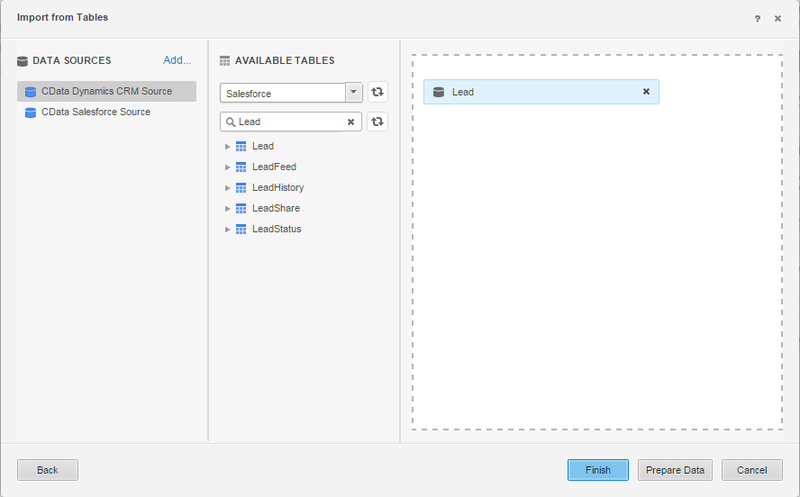 In the Available Tables section, select DynamicsCRM in the menu and drag and drop the Lead table. Click Connect Live to ensure that your dashboard immediately picks up any updates. 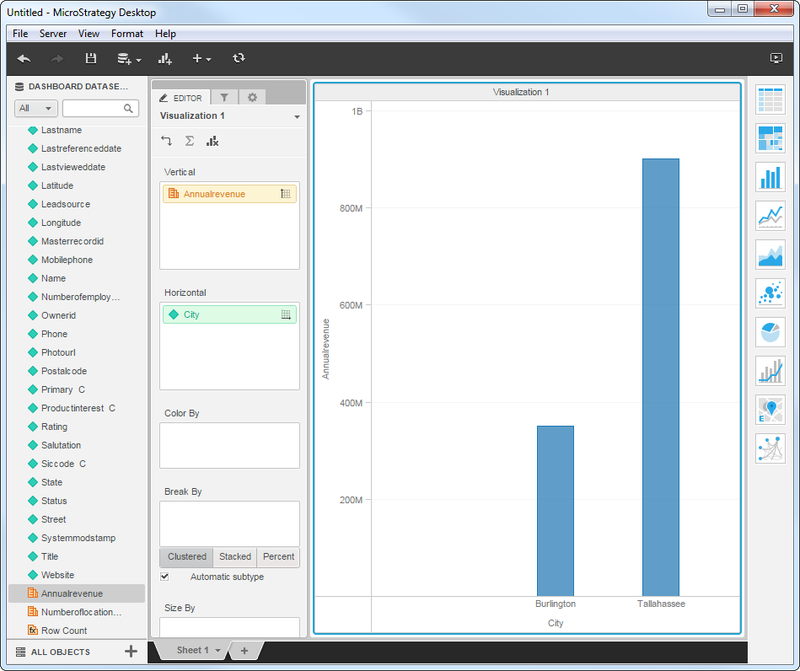 As you make changes to your dashboard, MicroStrategy uses the driver to execute a query to the remote Dynamics CRM data. You can now drag and drop columns onto the dimensions and measures of data visualizations. MicroStrategy queries the driver metadata to detect the dimensions and measures based on data type.